Michael Fassbender and Alicia Vikander married in a super-secret wedding ceremony in Spanish Island Ibiza. Just after this ceremony, they flew to Italy for a romantic honeymoon. The newlywed happy couple was spotted enjoying dinner at Osteria del Cappello- Hotel Al Cappello Rosso located in Bologna. Michael Fassbender and Alicia Vikander: How it began? Michael and Alicia met during the shooting of their film The Light between Oceans” in 2014. In the movie, Vikander portrayed the role of Fassbender’s wife and the rumors about their on-screen chemistry as well as off-screen affair were already out by then. 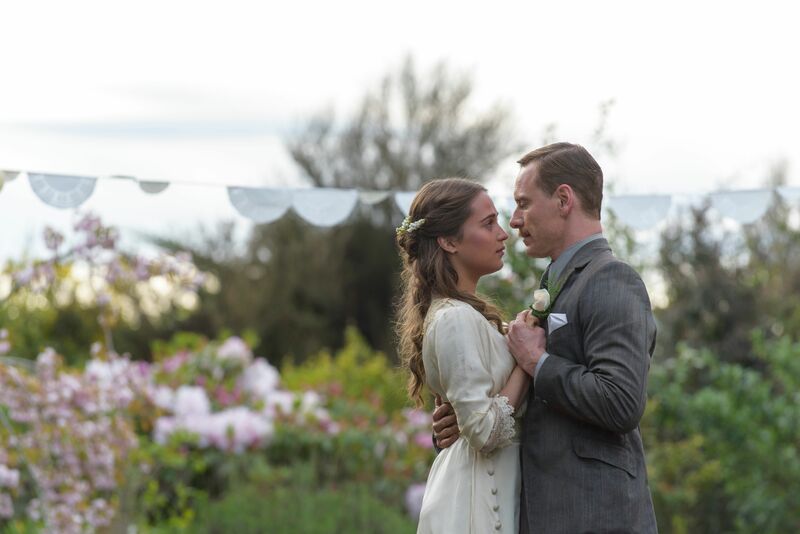 Michael and Alicia in the movie "The Light Between Oceans"
Know more about Alicia Vikander's other roles in other movies. The former boyfriend and girlfriend were very secretive about their relationship in the beginning. Even while at the British Academy of Film and Television Award, they politely refused to participate on the kiss cam. The couple was very shy and kept a low key for the cameras. After the awards, Fassbender broke the silence only to tell the reporters about the quality of Vikander’s acting. Michael and Alicia were seen as a couple only at the Golden Globes in January. Even though they debuted as a couple, they tried their best to keep the attention off them. Know about Alicia Vikander's Oscar-winning performance. They were also spotted in Paris for a romantic dinner. After three years of secret relationship, the couple got married in a secret ceremony in Ibiza, Spain with a small group of family and close friends. They tied the knot on October 14th. Vikander and her spouse jetted off to Italy for the honeymoon. They were caught in selfies captured by their fans in the street of Italy. It seems they had a great honeymoon as Vikander was seen showing off her wedding ring after returning from her honeymoon. The newlyweds were spotted in Verona and Florence taking a tour and sightseeing. If you are wondering about the amount of money Michael makes. Then you should know that his net worth is as high as $30 million. Isn't that pretty huge? It feels great to know that the lovey-dovey couple has finally tied the knot. It is not just us, but all of their fans are overwhelmed with joy. We hope that they don't end up in a divorce just like other Hollywood celebrities. Well, best wishes to the pair.